President Muhammadu Buhari recent unguided utterances and actions towards the kidnap and arrests of Justice Ademola Adeniyi and other Nigerian judges have once again confirmed his level of autocratic and tyrannical nature. Justice Ademola was the brave Judge that granted Mazi Nnamdi Kanu bail unconditionally, of which the DSS on the order of tyrant Buhari refused to release Nnamdi Kanu whom he sees as a perceived enemy. The sudden arrest of Justice Ademola prompt me to delve into investigation on why this honorable and just judge was arrested and ridiculed. After thorough investigations, I was shocked by my findings; Firstly, Nnamdi Kanu filed contempt of court proceedings against the Buhari regime which as the presiding judge in the original case he was legally bound to hear in his court. Secondly, on Friday been the 7th of October 2016 the same Justice Ademola issued two rulings in a case brought against DSS by two persons whose fundamental human rights were abused because they were illegally detained by the same DSS. Ademola awarded 20 Million Naira and 10 Million Naira respectively to the complainants. Buhari having seen Justice Ademola as a threat and obstruction to perfect his tyrannical plans now embark on a dangerous move by using the same DSS whom the same Justice Ademola ruled against ridiculous human rights abuses on two different occasions to haunt down the judge. Is it not laughable that Buhari who claims to be waging a fighting against corruption is the most corrupt man in Nigeria? The arrests of justice Ademola and other judges proves that rule of law has outlived its stay in Nigeria. There is urgent need for Buhari to be sanctioned now by the international community. Buhari after declaring his intentions to jail Nnamdi kanu during his presidential media chat on 31st of December 2015 has lived up to his promises by using Justice Tsoho to pass baseless rulings on Nnamdi Kanu, hence the suit filed by Mazi Nnamdi Kanu at ECOWAS COURT against Buhari and his DSS. Buhari and Nigeria legal team having absconded from the first ECOWAS Court case is an evidence to prove that they are on the run while NNAMDI KANU is INNOCENT. The manipulative nature of Buhari and DSS left one to be wondering their next plans of actions. 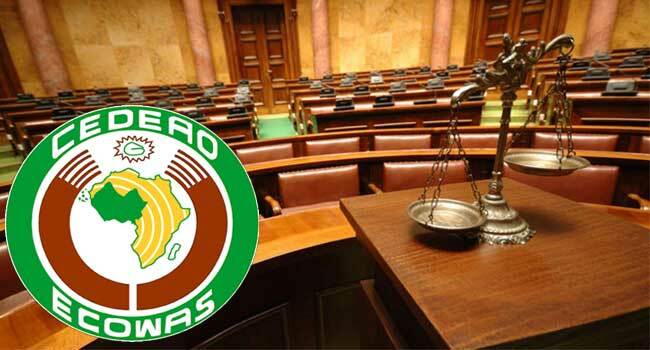 A source close to Buhari, made it known that BUHARI has already threatens to backed out from funding ECOWAS COURT if they fails to do his biddings by passing judgments which must be beneficial to him.